CreditCards.com is a leading online credit card marketplace, bringing consumers and credit card issuers together. At its free website, consumers can compare hundreds of credit card offers from Americaâ€™s leading issuers and banks and apply securely, online. 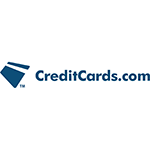 CreditCards.com is also a destination site for consumers wanting to learn more about credit cards. Offering advice, news, features, statistics and tools, CreditCards.com helps consumers make smart choices about credit cards. In 2015, over 27 million unique visitors used CreditCards.com to find the right credit card to suit their needs.